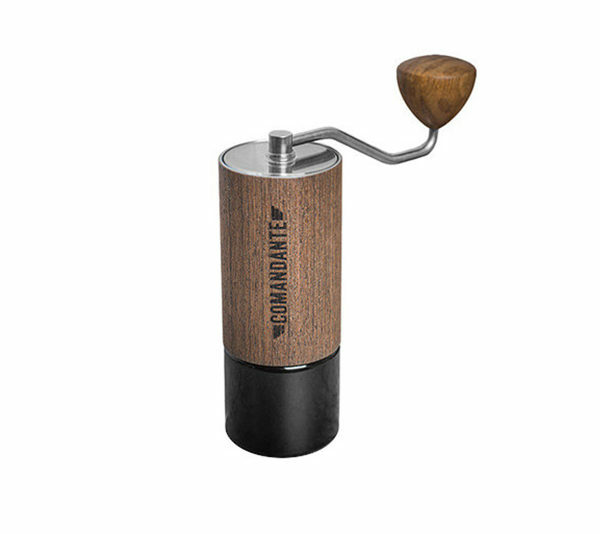 One of the best manual griders in the world. 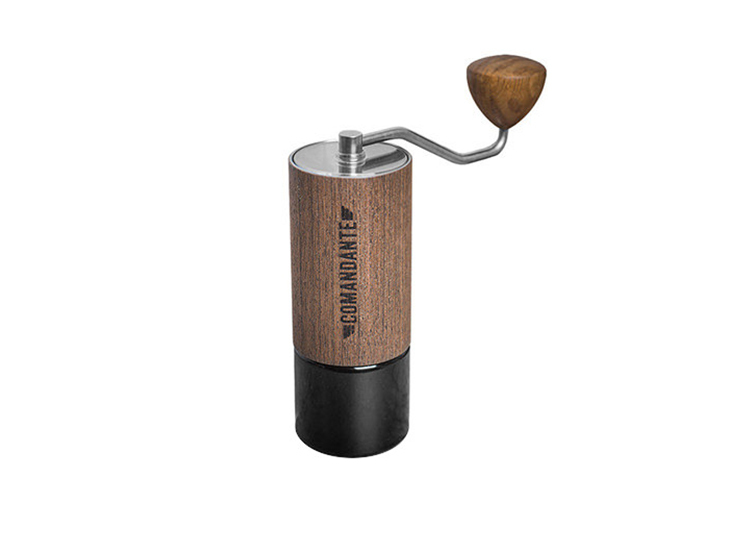 Comandante Manual Grinders are designed by and made for Specialty Coffee Experts & Connoisseurs. 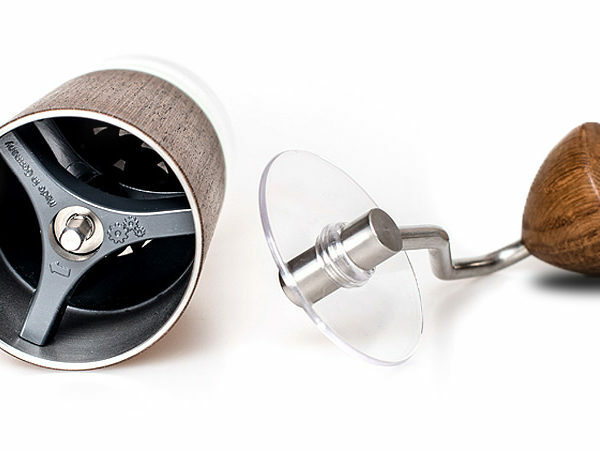 Quality Engineering crafted with finest materials. 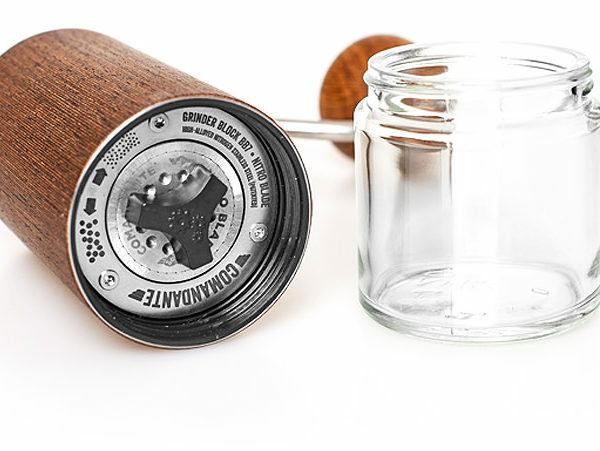 We refined the geometry and structure of the Nitro Blade burr to get the grind performance we were looking for and the particle distribution which worked best with brewing fresh ground specialty arabica beans. Manufacturing a Nitro Blade is a serious engineering task which requires special tools and machinery, excellent craftsmanship and lots of experience. High-nitrogen martensitic steel is extremely difficult to work with. But when finished, it is tough, highly wear resistant and has a high degree of edge retention. This is what we want. 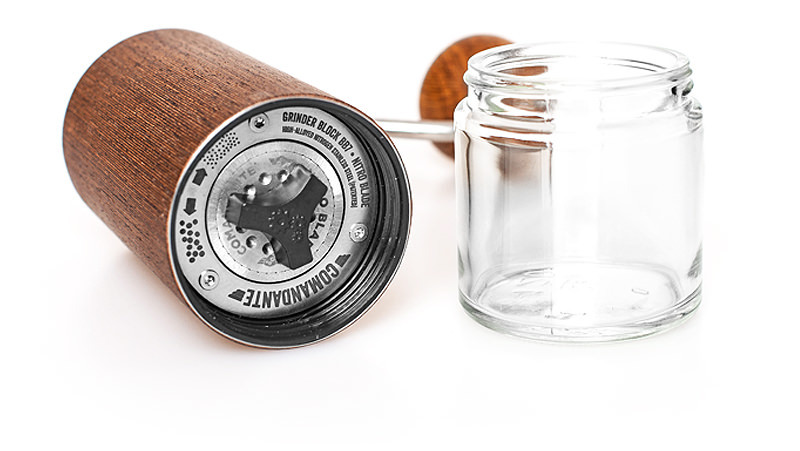 Built for true coffee enthusiasts and specialty coffee connoisseurs, the C40 is a robust high performance coffee hand grinder with an advanced burr set design. 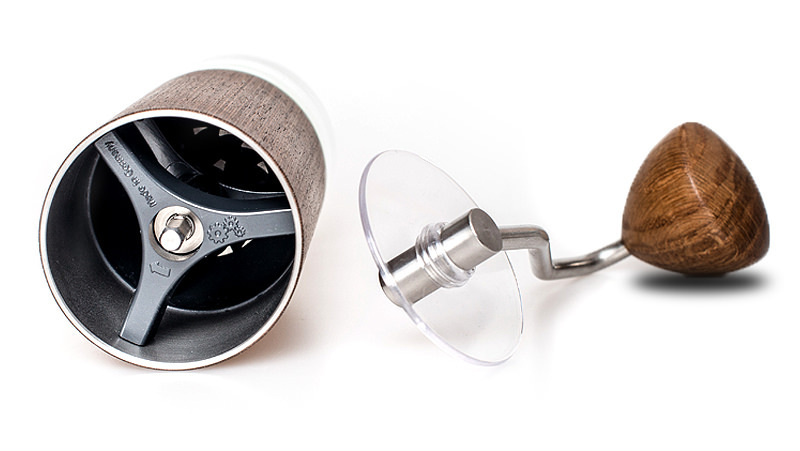 The selection of the burr material is the proud result of dedicated research and development. Clear design mixed with high performance.